Well, this is exciting!! 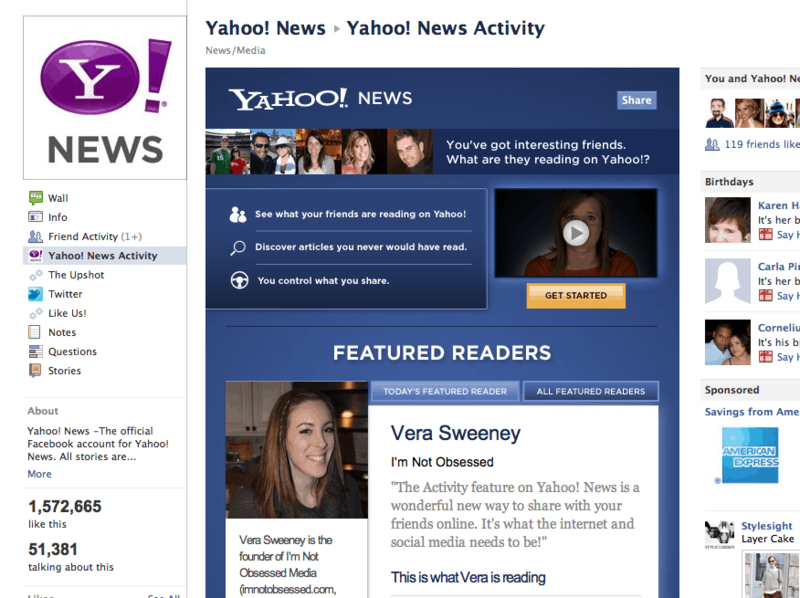 Yahoo News featured me this morning on their Facebook app site as their “Featured Reader”. They are also going to include one of my I’m Not Obsessed stories on their news site. Fingers crossed that the traffic sent is sticky! Wouldn’t that be the best Christmas gift EVER!!! Congratulations!!!! 😀 and welcome to the new readers. /I am entering your Fields and Lane gloves giveaway.